Today I am sharing my recipe for my Italian Sausage Stuffed Pork Loin. This is one of those recipes I created back in college to use on my friends who didn't mind being guinea pigs for food every now and then. Ultimately this recipe was inspired by stuffed pork chops we used to get from Veron's Cajun Meat Market when I was little. 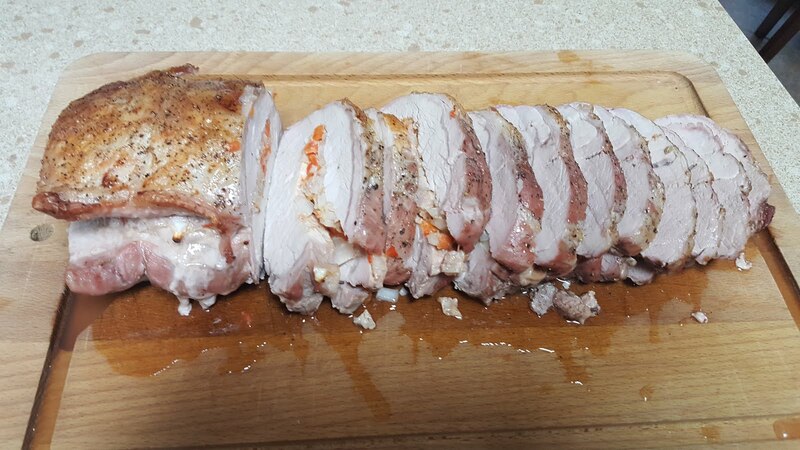 I've done this one a few different ways, with a tenderloin, pork chops, or a loin, smoked or baked. It always comes out great! Butterfly the pork loin and lay it flat on a sturdy surface. Cover the meat with a sheet of plastic wrap to keep the mess to minimum. Starting in the middle and working your way out, use a meat tenderizer to tenderize the meat. You'll want it to be about a 1/2 inch to 3/14 of an inch thick. 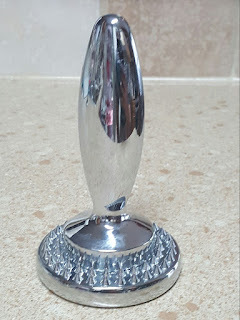 I have a meat tenderizer that I really like that is different than the traditional mallet style meat tenderizer. 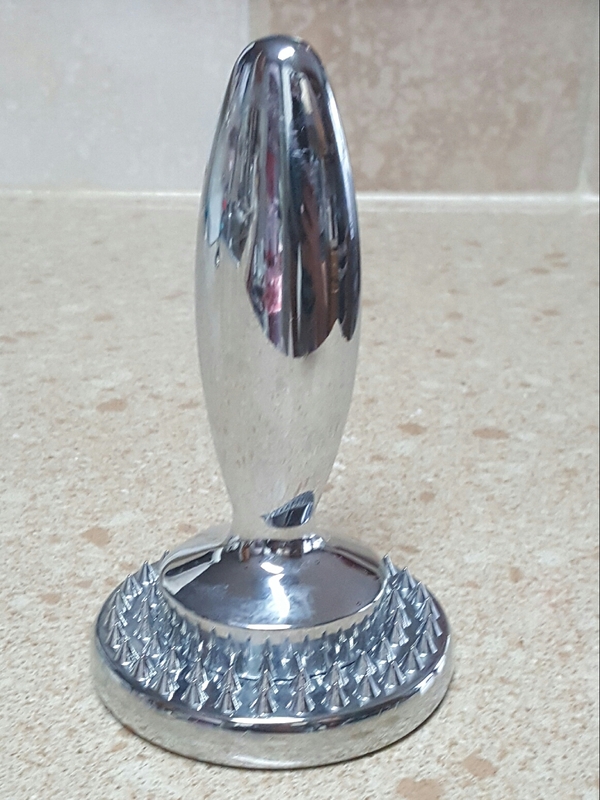 It has a handle with a reversible disc on the bottom. The disc sits under your fist and uses the full force of your hand motion to tenderize the meat. It works a lot more efficiently than the mallet style tenderizer. I generally stick with flat side so that I don't destroy the meat. Remove the plastic wrap and apply salt and pepper to both sides of the meat. Set aside. Stuffed pork loin ready to go in the oven. Combine the sausage, bell pepper, onion, garlic, salt and pepper in a bowl. The best way to mix it up is with your hands. Once combined, spread the mixture evenly in the pork loin and fold the pork loin over. 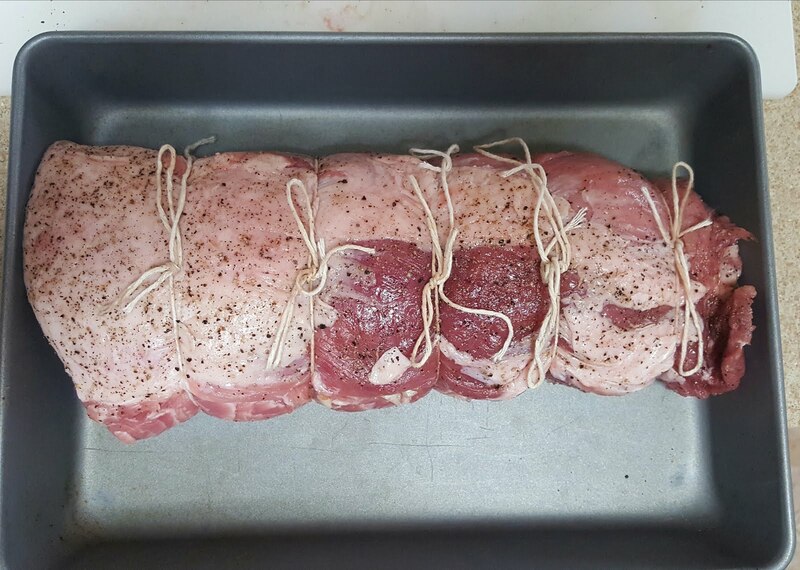 Tie the pork loin with string to keep the stuffing from coming out. I usually use 5 or 6 pieces of string to keep the pressure even. Place it in the oven for 10 minutes at 400 degrees and the reduce to 350 degrees. Cook 20 minutes per pound at 350 degrees or until the internal temperature reaches 165 degrees. If you decide to smoke it, plan on 4 to 5 hours at 225 degrees, or until the internal temperature reaches 165 degrees.